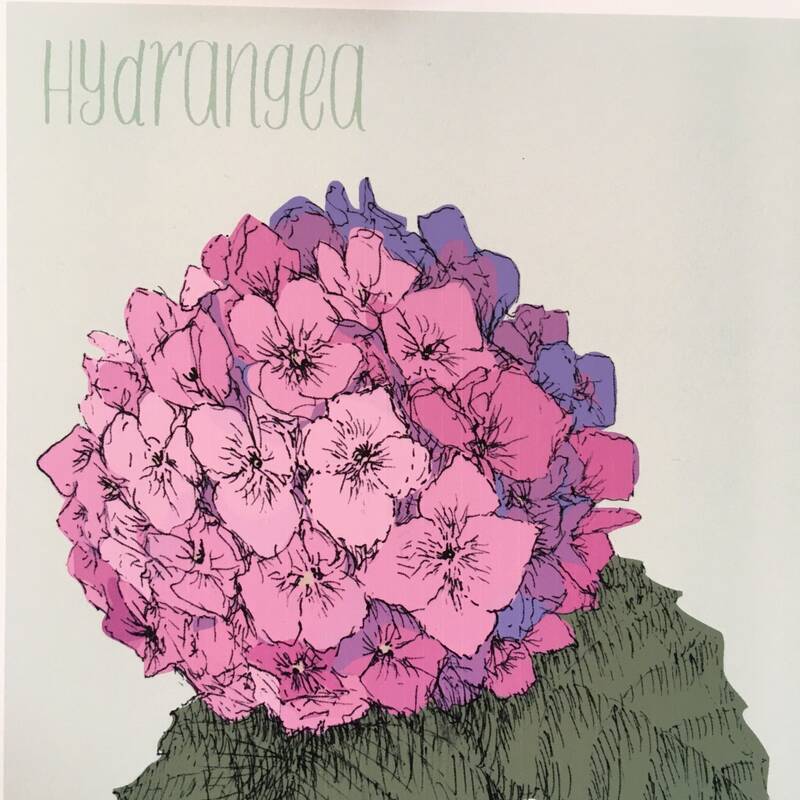 The Hydrangea is carefully drawn in pen and ink. 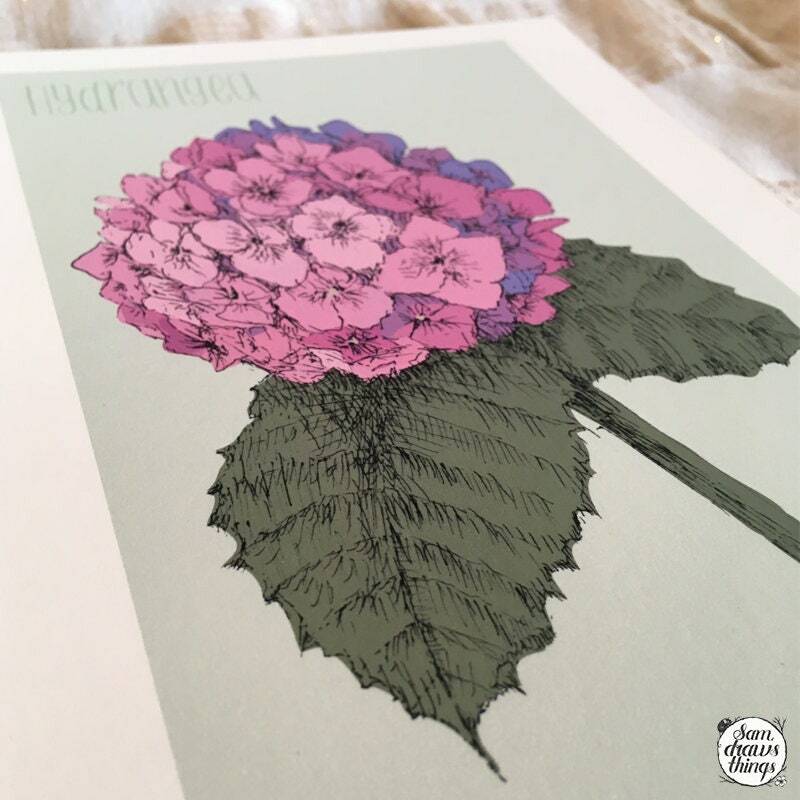 I've added the colour and text digitally to capture the blues and pinks of these awesome flowers. 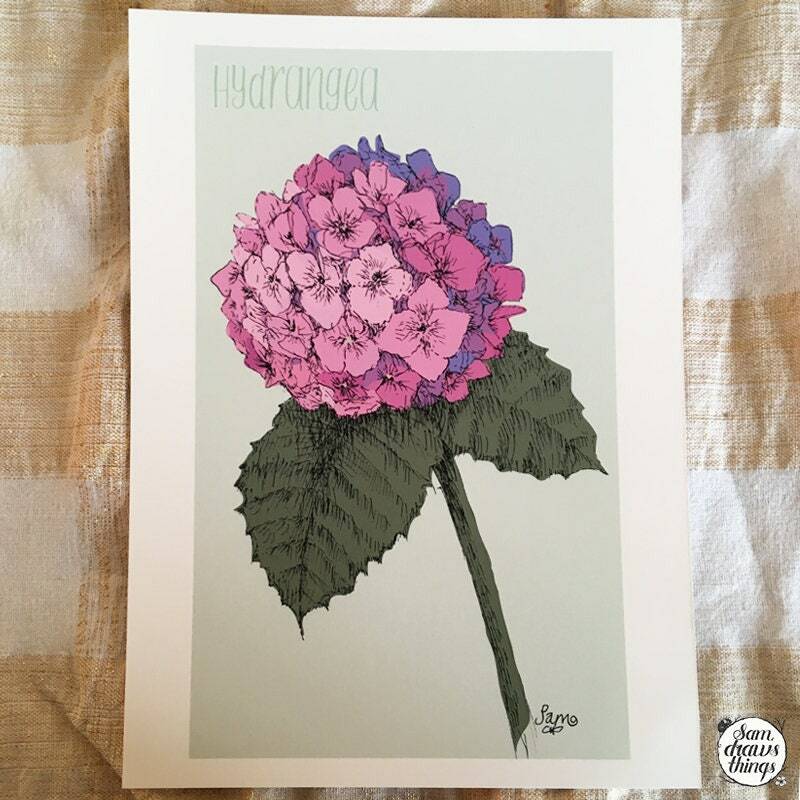 This listing is for a signed A5 giclee Hydrangea print on lovely archival paper. 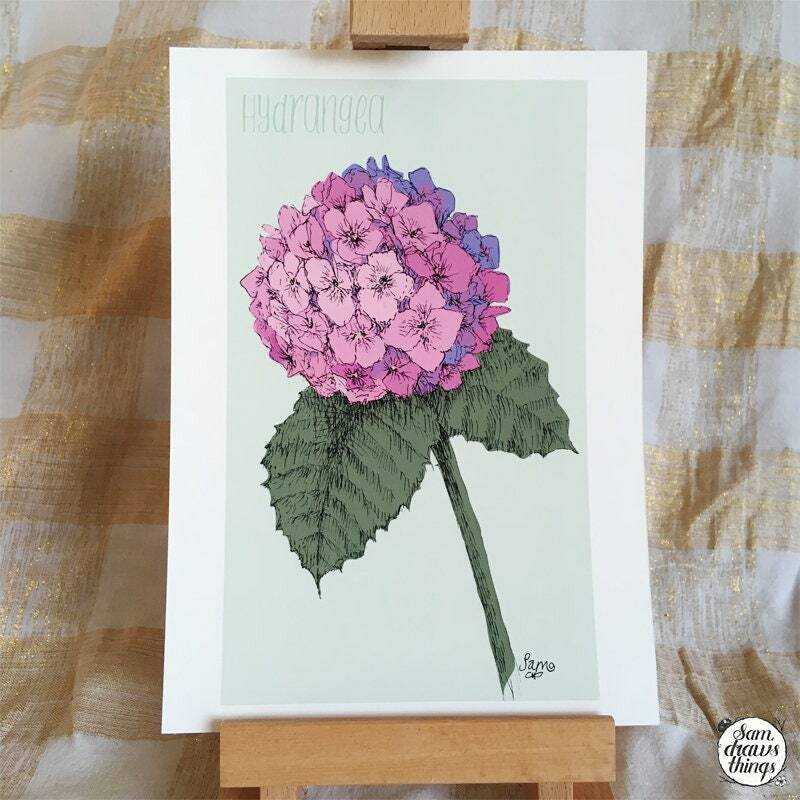 It is unmounted, and comes safely wrapped in cellophane ready for you to find the perfect frame. Loving these prints. Great detail and fantastic customer service. Beautiful illustration and as usual well packaged and sent promptly.